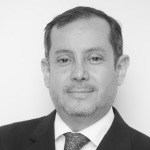 Francisco Cos-Montiel joins UNU-GCM as Senior Research Officer. Francisco supports the Director in maintaining the Institute’s leadership in offering evidence-based policy advice on globalization, culture and mobility. Before joining UNU, Francisco was UN Women’s Economic Advisor for the Asia Pacific Regional Office. His expertise include the fields of macroeconomic and microeconomic analysis and the socio-cultural constraints to human agency. His latest research interest revolves around technology and its impact on human mobility, production and reproduction. Francisco holds a PhD (gender studies) and an MSc (social policy and planning in developing countries) from the London School of Economics. He speaks Spanish, French, English, Portuguese, Italian and some German and Thai.